Custom Prototypes has created what can only be described as a masterpiece of historical recreation. 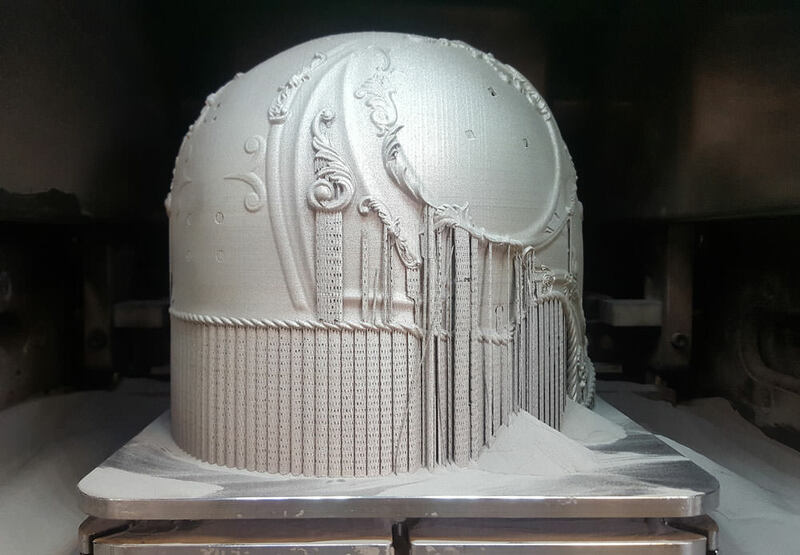 It’s made of 3D-printed stainless steel and resin (aka stereolithography or SLA plastic), which sounds easy but is far, far from it. For one thing, steel doesn’t come out of the printer all shiny and pretty. The helmet started out as a dull plastic-looking affair requiring a bristling mass of supports in what would become the hollow part that needed to be removed before the finished product could look anything like the original. Then all the individually printed stainless steel parts — helmet base, decorative elements — had to be sanded, polished and buffed to a high gloss. Once that was done, the resin pieces were printed in clear plastic, including the fantastic mohawk, and then painted and dyed to look like gemstones. 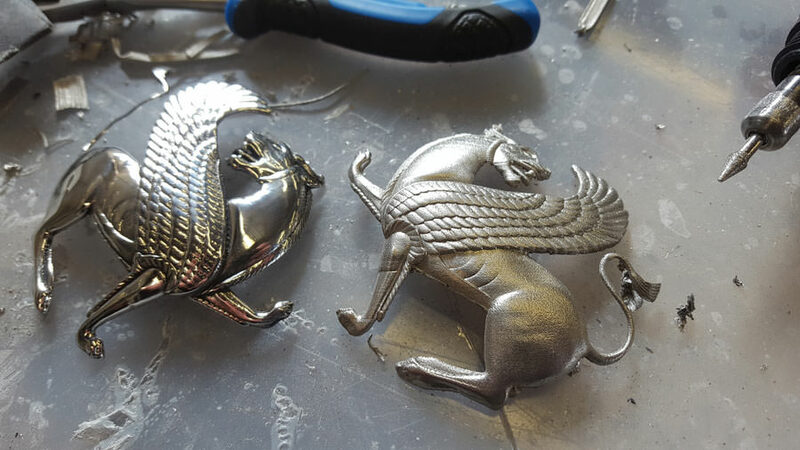 That’s not an easy process either, making little plastic bits look like jade or lapis lazuli or feathers. 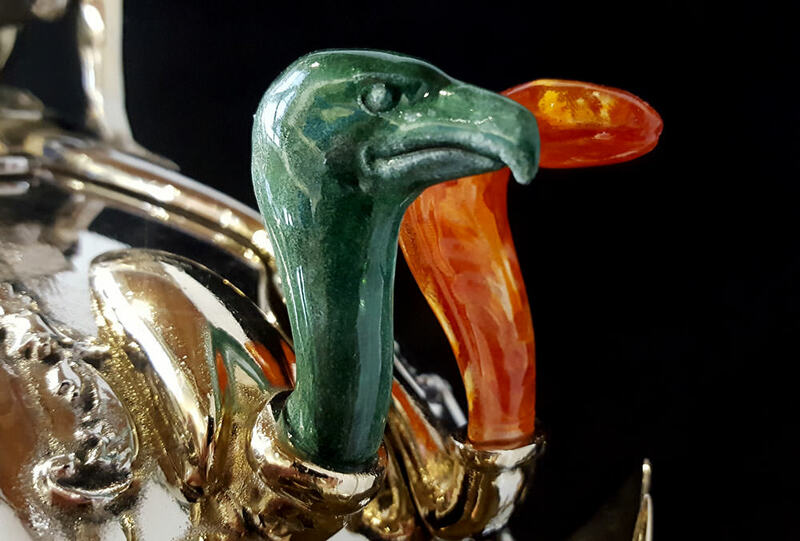 It helps to elevate the material when you electroplate the base, figures and reliefs with nickel, copper, chrome and just for good measure, 24 carat gold. 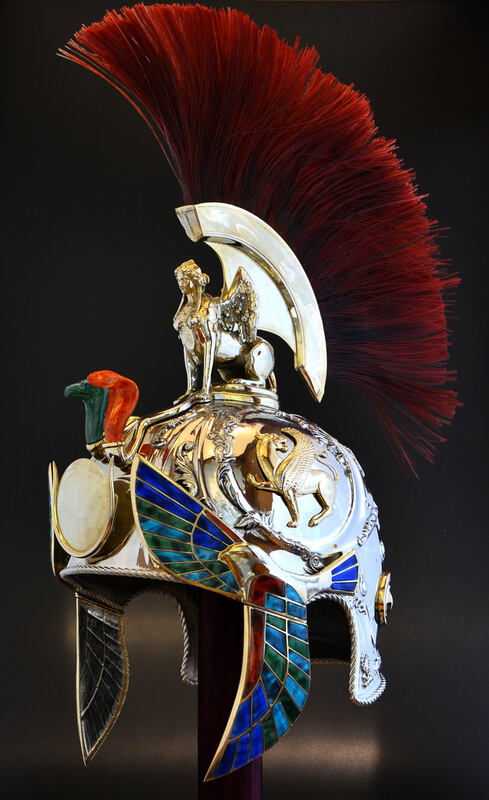 Pieced all together the final work may bear zero relation to any actual Roman helmet that ever existed, but it sure looks spectacular. Most of all, it’s a testament to how much is possible with 3D printing technology and months of hard work. This video documents the fascinating process.